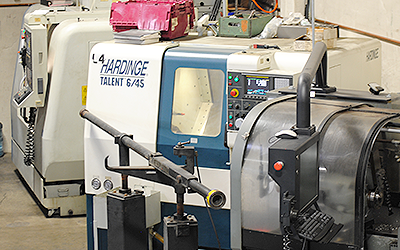 Sliger offers combination CNC laser cutting of steel, stainless, aluminum and acrylic. 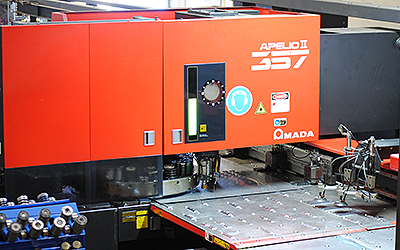 Our auto-loading and unloading punch can run lights out 24/7/365 for maximized productivity. At Sliger Designs we have five semi-automated press brakes capable of bends up to 14' in length. Extensive tool library including dozens of custom made flexible stamping and forming tools brings savings for clients in minimal up front tooling costs. 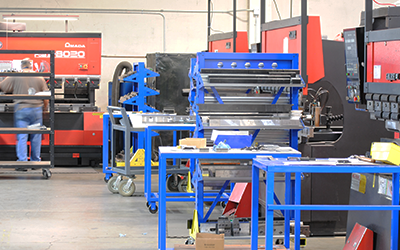 Sliger has five sheet metal hardware presses, two with automated hardware loading for rapid insertion. We stock a large selection of self-clinching fasteners in steel, stainless and aluminum for quick turn without expedite fees. 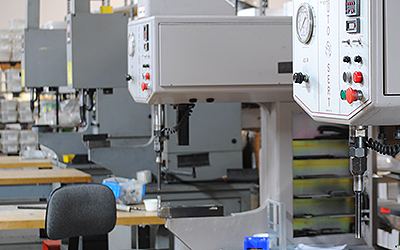 Sliger offers full CNC machining capabilities for prototype, low to medium volume production, and part modifications. We can work with most steels, aluminums and stainless - as well as most plastics and acrylics. 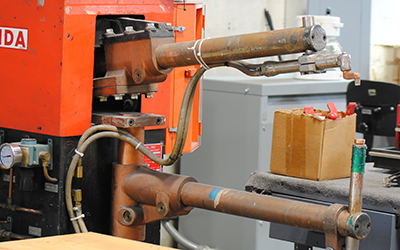 Sliger has capabilities for MIG, TIG and spot welding of steel, aluminum and stainless steels. In combination with our in-house jig and fixture capabilities Sliger can provide a single shop solution for all metal fabricated and welded assemblies.